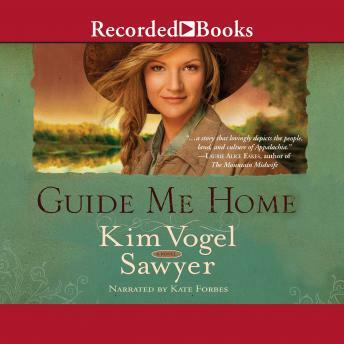 Romance and historical inspirational readers love Kim Vogel Sawyer's gentle stories of hope, and this sweet Kentucky tale is certain to entertain and encourage. Twenty-one-year-old Rebecca Hardin is determined to help provide for her family, living a hardscrabble life in 1910, in the southern Kentucky hills. Her brother Andy died when he became lost in a cave five years earlier, and Rebecca feels responsible for his death because she'd told him to "go, get lost." The best wages at Mammoth Cave are earned by the guides, who receive a salary plus tips from the guests. But only men are allowed to be guides, so Rebecca cuts her hair, dons some of Andy's clothes, and introduces herself as "Reb" to the estate manager. She's put under the tutelage of Tolly Branford, a long-time, trusted employee. Both Tolly and fellow guide Devlin Bale discover Rebecca's secret. Tolly wants to help the Hardins. Devlin and Rebecca, who may be smitten with each other, spend days scouting the depths of the cave and learning its secrets. When the cave threatens to claim another Hardin family member, can Tolly and Devlin use their skills before it's too late?